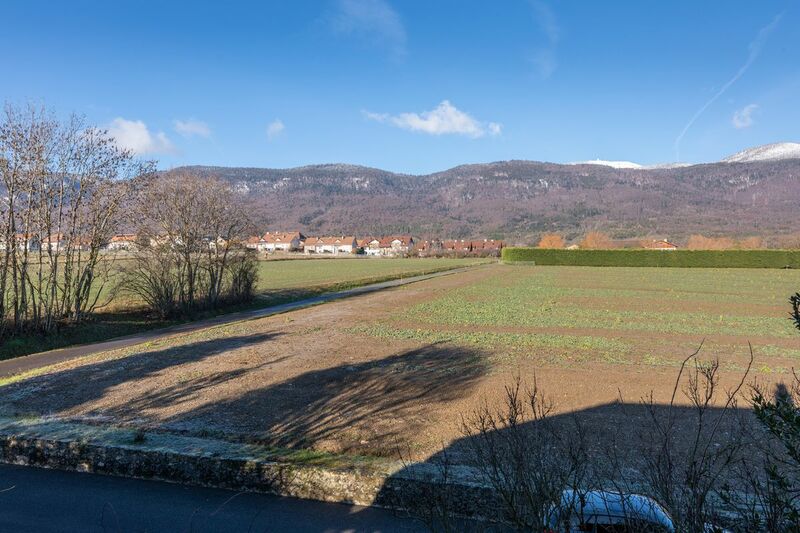 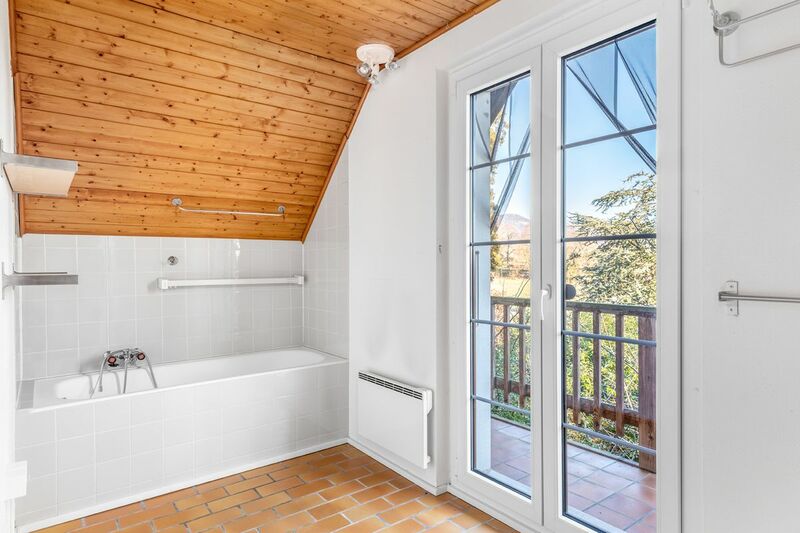 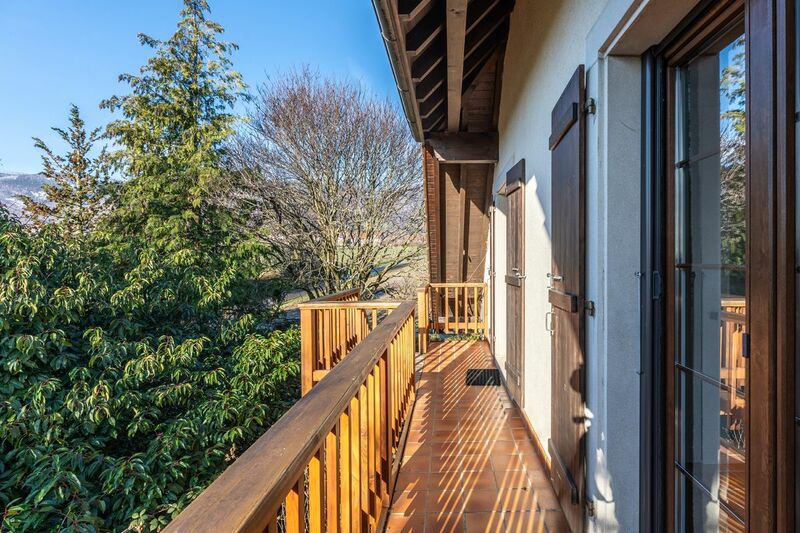 Standing in the countryside surrounded by fields and five minutes from the Nyon and Coppet motorway junctions, La Rippe is a relaxing and healthy place to live. 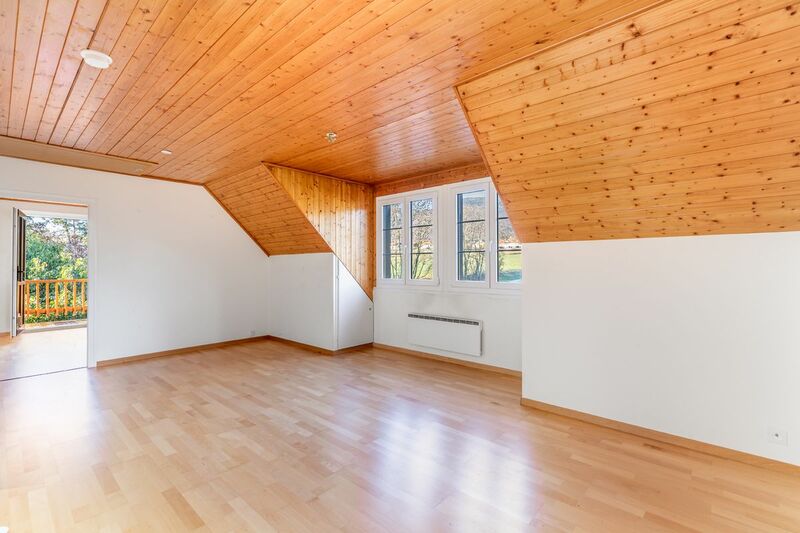 The village’s bucolic location offers plenty of opportunities for exploring the fields and forests of the surrounding area. 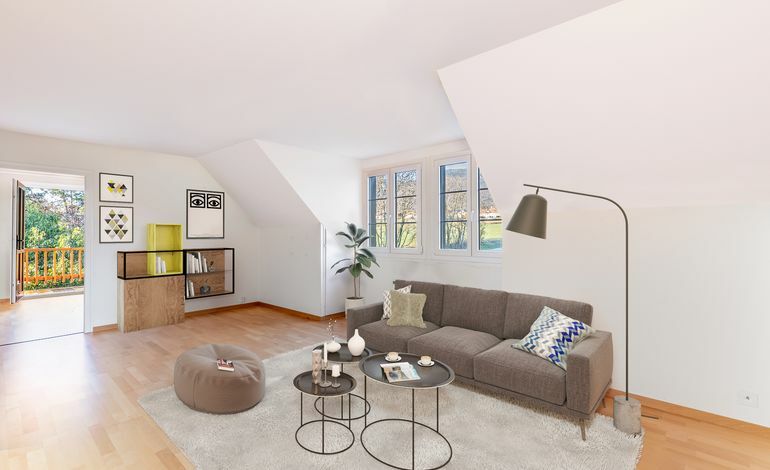 Located in a green setting on the edge of the village, this charming apartment lies on the first floor of a small, two-dwelling residence. 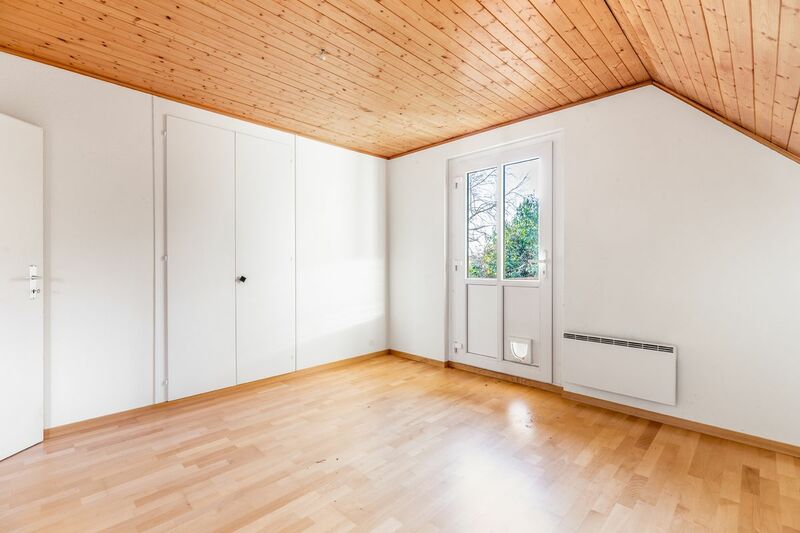 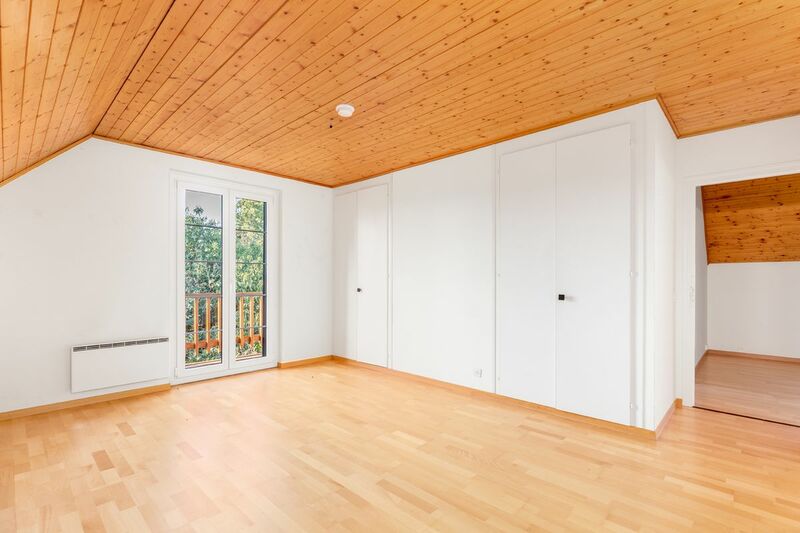 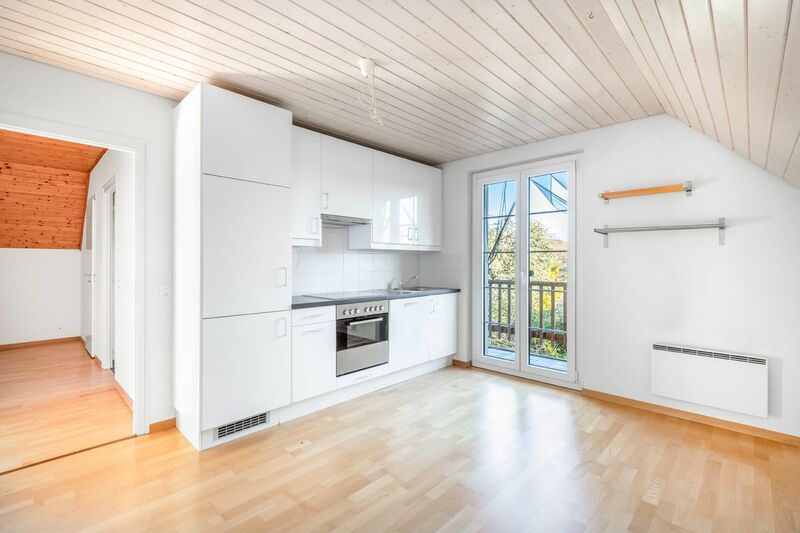 The apartment comprises a bright living/dining room and a functional fitted kitchen. 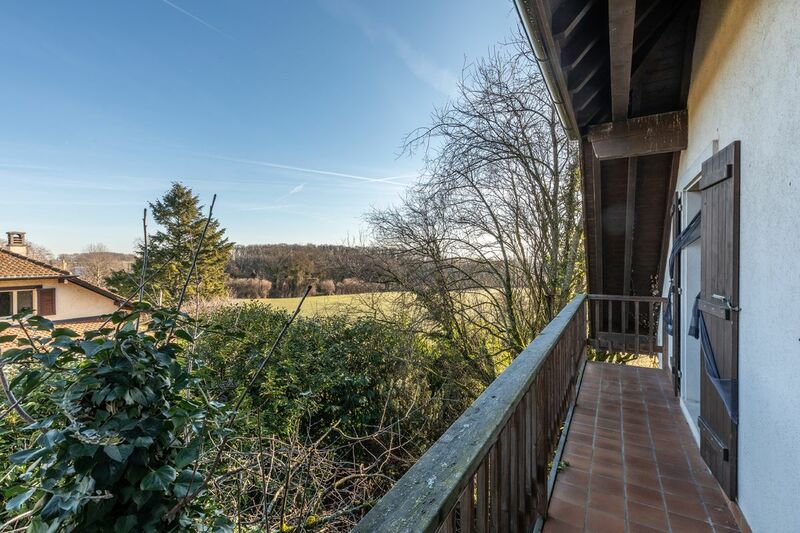 The kitchen enjoys views of the countryside as well as access to a pretty sun-drenched balcony. 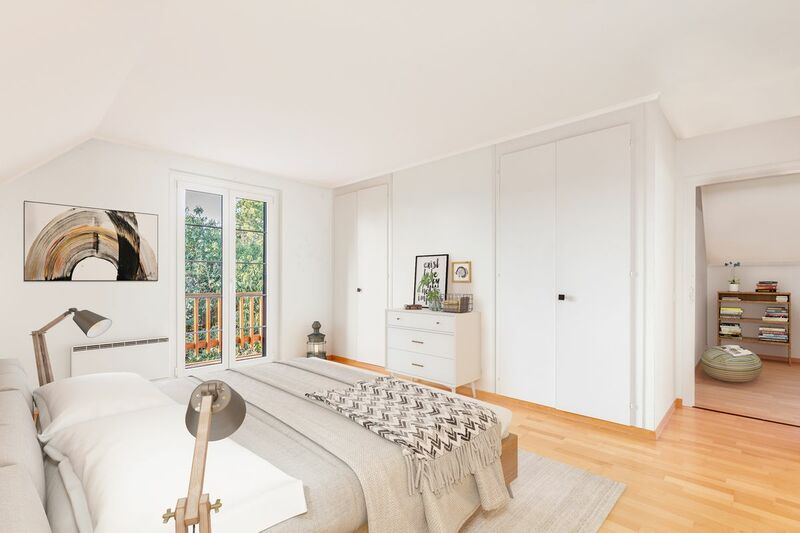 The sleeping area comprises two bedrooms with practical built-in wardrobes. 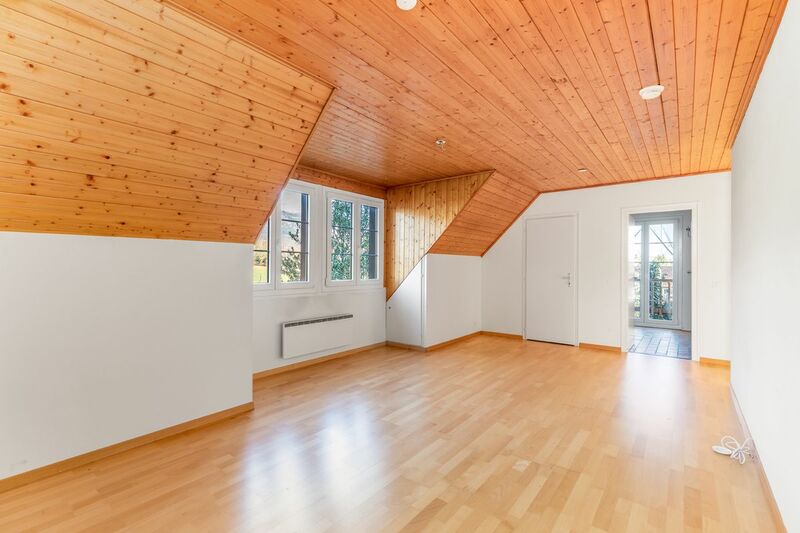 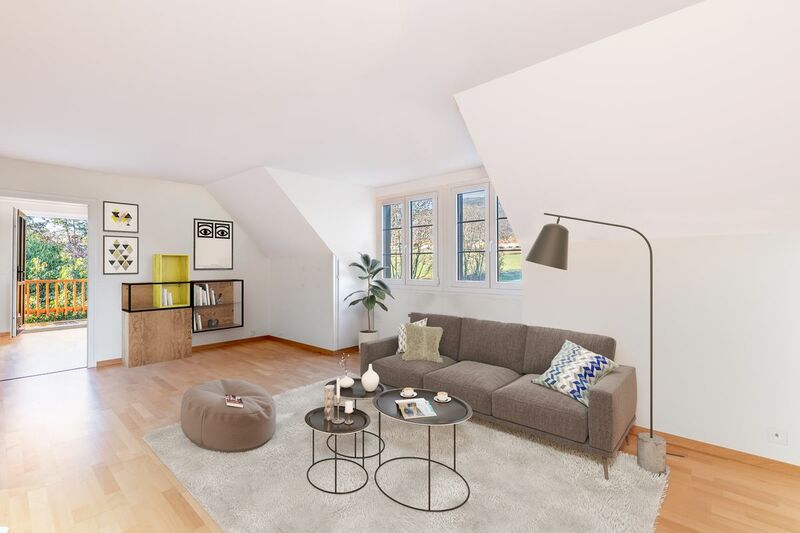 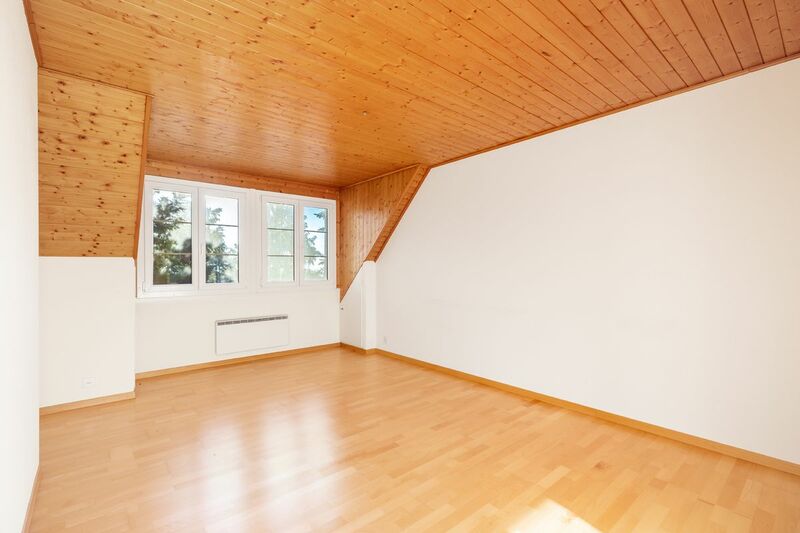 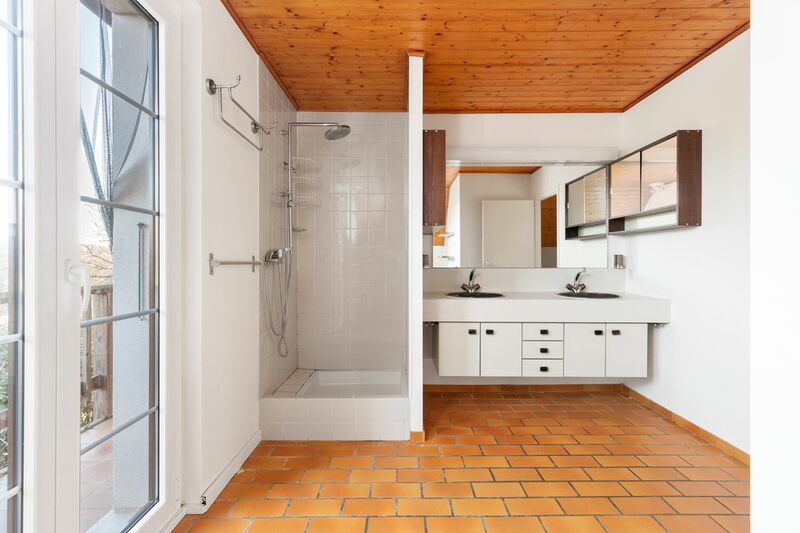 Two outdoor parking spaces and an attic and complete the property.